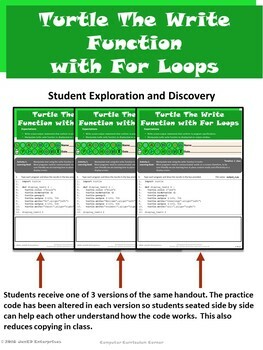 The Python Turtle write function output can be manipulated using for loops. 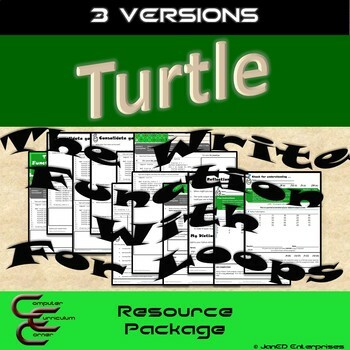 This package demonstrates how to control and manipulate the write function with for loops in the Turtle module. 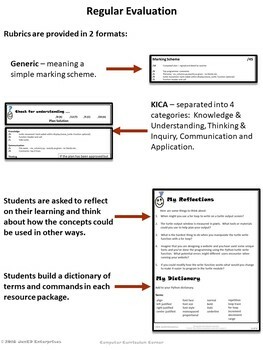 Everything is included: 3 versions of the student handout package, two PowerPoint lessons, answer keys, and 3 versions of the assessment. 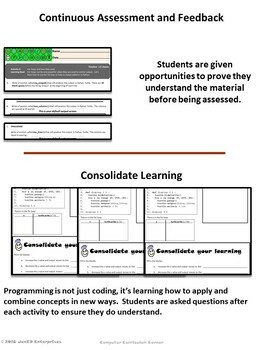 Turtle 2C The Write Function and For Loop Culminating Activity is the next step in this series. Duration: Two 75 minute periods. Turtle 2B The Write Function with For Loops 3 Version Resource Package by Janice Dyke is licensed under a Creative Commons Attribution-NonCommercial-NoDerivatives 4.0 International License.